Latest press and releases on orthopaedic products, devices, implants and services. Tissue Regenix Group plc ("Tissue Regenix" or "the Group") World's first OrthoPure™ XT (dCELL® Tendon) implants successfully undertaken at Barcelona Hospital York 4th December 2015, Tissue Regenix Ltd, (AIM:TRX) "Tissue Regenix" or "The Group" the regenerative medical device company, is pleased to announce that two patients have received the first OrthoPure™ XT decellularised tendons using Tissue Regenix patented dCELL® technology. This has been done as part of a clinical safety study by Tissue Regenix which is being conducted to secure a CE mark to enable launch of the OrthoPure™ XT in the EU in 2017. Orthopaedic & Trauma Surgeon, Dr.
Future Market Insights has announced the addition of the “Orthopedic Power Tools Market: Global Industry Analysis and Opportunity Assessment 2015 - 2025" report to their offering. Orthopedic is the branch of medicine that deals with the prevention or correction of injuries or disorders of the skeletal system and associated muscles, joints and ligaments. Orthopedic power tools are electrically operated devices, which are used by surgeons to drill holes through the bones to fix implants during orthopedic surgeries. These tools are to facilitate surgeons to perform surgeries on a faster pace and with more precision. Osteoporosis is a major health problem, especially in elderly population, and is associated with fragility fractures at the hip, spine, and wrist. Here are six takeaways: 1. This merging acts as an exchanging of Kuros shares for new Cytos shares, subject to shareholder approval and other customary conditions. 2. Cytos is listed on the main segment of the Swiss stock exchange, while Kuros is a privately-held company based in Zurich, Switzerland. 3. The new name of the combined entity will be Kuros Biosciences AG. 4. As a result of the combination, shareholders of Cytos will have ownership in a leading biosciences company in the field of tissue repair and regeneration. 5. Kuros Biosurgery focuses on the development of innovative products for tissue repair and regeneration and is a spin-off of the Swiss Federal Institute of Technology. Medical Compression Systems, Inc. (MCS), announced new data further validating the use of the ActiveCare® DVT prophylaxis compression system following total joint replacement procedures. The study results demonstrate that a risk stratification protocol employing a synchronized mobile compression and aspirin regimen was associated with low rates of venous thromboembolism (VTE), lower rates of adverse events and reduced overall costs compared to a group treated with aggressive anticoagulant agents. Albany, NY -- (SBWIRE) -- 11/05/2015 -- Orthopedic trauma is referred to a severe injury to the musculoskeletal system including bone or joints. Treatment of this injury usually requires an orthopedic trauma surgery, which involves various fixation devices, such as internal and external fixators to fix the fractures. Some of the internal fixators include Intramedullary Nails (IM Nails), IM Screws and plate and screw system. IM Nail is an orthopedic device that is used to treat fractured and broken bones. It is most commonly used device for treatment for tibia and femoral shaft injuries. Plate and screw system is used for stabilizing and fixation of long bone fractures. The researchers examined 49 patients who underwent instrumented posterior lumbar fusion for degenerative disc disease. The patients received surgery on one to four levels of the spine with Safe Orthopaedics' single-use SteriSpine PS Pedicle Screw System kits in two centers. Here are five key notes: 1. The single-use instrumentation could reduce surgical site infection from 6 percent to 2 percent; only one infection occurred among the patients participating in the study. 2. The Safe Orthopaedics products preserve screws and rods inside the sterile pack to reduce exposure to air-borne bacteria in the operating room. 3. The surgical time is reduced by 12 percent. [October 26, 2015] Tweet RTI Surgical Inc. (RTI) (Nasdaq: RTIX), a global surgical implant company, announced today that Christopher R. Sweeney, a partner with Water Street Healthcare Partners, a strategic investor focused exclusively on the health care industry, has joined the company's board of directors as a designee of its preferred shareholder, Water Street, effective immediately. Additionally, the company announced that Thomas A. McEachin, formerly vice president and group chief financial officer of Covidien Surgical Solutions, the largest division of Covidien, plc, which is now part of Medtronic, has been appointed to the company's board of directors effective Dec. 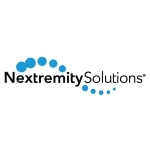 Foot and ankle implant developer Nextremity Solutions said last week it completed its acquisition of Del Palma Orthopedic‘s foot fusion technology assets The purchase consists of multiple issued and in-prosecution utility and design patents and their associated intellectual property, as well as partially developed foot fusion devices, Warsaw, Ind.-based Nextremity Solutions said. “The acquisition of the Del Palma technology is another step in Nextremity’s journey to being recognized as the leader in innovation within the foot and ankle market. Given the interest in this technology by others in the foot and ankle marketplace, Nextremity is excited about obtaining this IP and the opportunity to bring this technology to foot and ankle surgeons in order to improve their patient outcomes,” Nextremity CFO Frank Patton said in prepared remarks. Tweet Exactech (NASDAQ:EXAC) will be posting its Q315 quarterly earnings results on Tuesday, October 27th. Analysts expect Exactech to post earnings of $0.25 per share and revenue of $58.46 million for the quarter. Exactech (NASDAQ:EXAC) last announced its quarterly earnings data on Tuesday, July 28th. The company reported $0.26 EPS for the quarter, missing the Zacks’ consensus estimate of $0.27 by $0.01. The firm had revenue of $61.50 million for the quarter, compared to analyst estimates of $62.13 million. During the same quarter in the previous year, the company posted $0.30 earnings per share.